...And sell when it’s high. That’s not even half of what you should know before investing in cryptocurrencies. How and where to buy Bitcoin? Why should you really spend on cryptocurrencies? Cryptocurrencies are by far the hottest investment product currently available. However, you should know a thing or two before you buy Bitcoin or any other digital coin. Before you even start thinking about where to buy cryptocurrencies, you should educate yourself. The cryptocurrency industry is relatively new. Because of that, not every coin is verified and you should thoroughly examine where you want to allocate your money. So, read about cryptocurrency you’re thinking about. When was it created? How many coins does it have? Has the crypto been ever under any investigation of some sort? You spend your hard-earned money, so you should know where you deposit them. BuyCoinNow offers Bitcoin because the market has already verified the most famous cryptocurrency in the world. BTC has already been in existence for over 10 years and nothing indicates the falling of it. You should also remember to diversify your assets. Investing in only one currency is very risky. If that digital coin starts to decline, you will lose your money. If you have already purchased BTC on our platform, now you can exchange it for other currencies. Life should be simple. With Bitcoin, it can be that way. You shouldn’t bother that you’ve missed the opportunity and didn’t buy BTC when it cost only a few dollars. Sure, you would be probably rich by now, but nobody could have predicted that. If you think that your train to the wealthy land has already left, you are wrong. As of today, Bitcoin is still below $4,000. You should use that chance and buy Bitcoin now. Almost every cryptocurrency expert says that BTC will go up. It is still unclear when. That’s part of investing: you don’t know every outcome. Though, if you are sure that something will be worth much more than now, you should buy that. Nerves are the worst adviser. So, don’t panic if Bitcoin price goes down. It’s the cryptocurrency market. Prices go up and down from day to day. Try not to focus on daily or even weekly declines. Those fluctuations are typical in this business. That’s one of the principals in investing. The market can go very high but it also can go sharply down. Don’t ever take anything on the market for granted. The biggest mistake you could make is committing to Bitcoin. Remember that it is only your way to make money. Don’t let affection to cloud your judgment. To do that, you should set yourself a goal. Calculate, how much you want to earn. When BTC reaches that level, you should sell it. Without any sentiments. Steve Wozniak, the co-founder of Apple, bought Bitcoin when it cost $700. He recently said that he sold all of his Bitcoin when the BTC was worth $20,000. He said that he didn’t want to worry himself if the price would go down. He made already a good profit. That’s correct thinking. Sometimes people want to hold their currencies for whatever it takes. It is better to sell one day too early than one day too late. Remember that you shouldn’t set the bar too high. If right now the Bitcoin price is a little over $3,500, don’t set your sell point at $50,000. Smaller targets will allow you to earn more. Of course, you don’t have to sell everything at once, but you should sell at least equivalent of your investment. Thanks to that, you won’t lose anything. 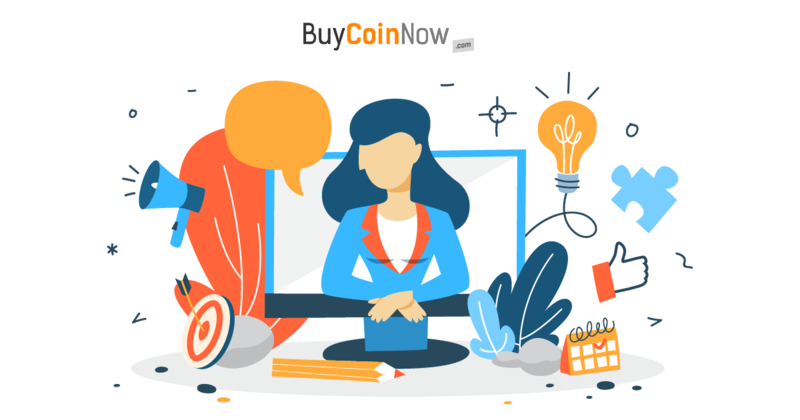 After all, you always have the best place to buy more Bitcoin - it’s called BuyCoinNow. So, that is the basis you need to know before you even start to invest your assets in cryptocurrencies. After reading that guide, you should know how to buy Bitcoin and when to sell it.